As a board certified physician assistant, Kip is specialty trained in ophthalmology and glaucoma. Working closely with Dr. Nagi, Kip provides a wide range of advanced glaucoma services. She is certified by the National Commission on Certification of Physician Assistants and is licensed by the Texas Medical Board. She is also a member of the Texas Academy of Physician Assistants and the Bexar County Physician Assistant Society. 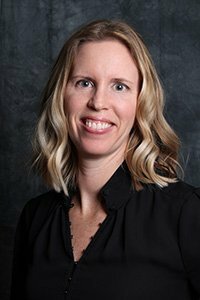 Kip grew up in Arizona and received a Bachelor of Science in Microbiology and Chemistry from Middle Tennessee State University in Nashville, Tennessee where she was a softball academic All-American. In 2006 she earned her Master of Science in Physician Assistant studies from Trevecca University. After practicing emergency medicine for 6 years, Kip had the opportunity to pursue her interest in ophthalmology. Upon completing specialty training, she worked in a private ophthalmology practice in North Carolina for 4 years. Kip was happy to join the comprehensive and professional team at San Antonio Eye Center once moving to Texas. Kip’s practice philosophy is very patient focused, concentrating on making people feel comfortable and heard. In addition to practicing medicine, Kip has a Masters in Christian Discipleship and loves volunteering with the youth at her church. She spends most of her free time outdoors exploring with her husband and two small children.